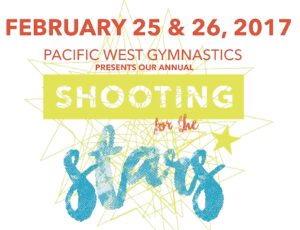 All Pacific West students are invited to participate in our upcoming Shooting for the Stars Performance! We are very proud of all of your child’s hard work & accomplishments and want to showcase their talents in front of friends and family! Relive the excitement of an action packed day. Our video is hosted on Vimeo. It's user friendly and easy to share on social media. You may view it right here, or check it out on Vimeo. Trophy portraits are available on Flickr. To locate your child's trophy portraits. Click through the view portrait links below. arts & crafts and more! Time for your child to work on skills, or just burn off energy with friends. Gymnastics Open Gyms are included with membership! Pacific West Gymnastics offers many family friendly events throughout the year. Take a look and see what's coming up next! Celebrate with action-packed fun! Our staff handles the details so you can enjoy your child's special day, stress-free. Get the latest news on classes, events, camps and programs. Our news blog puts a fun spin on our specialties.